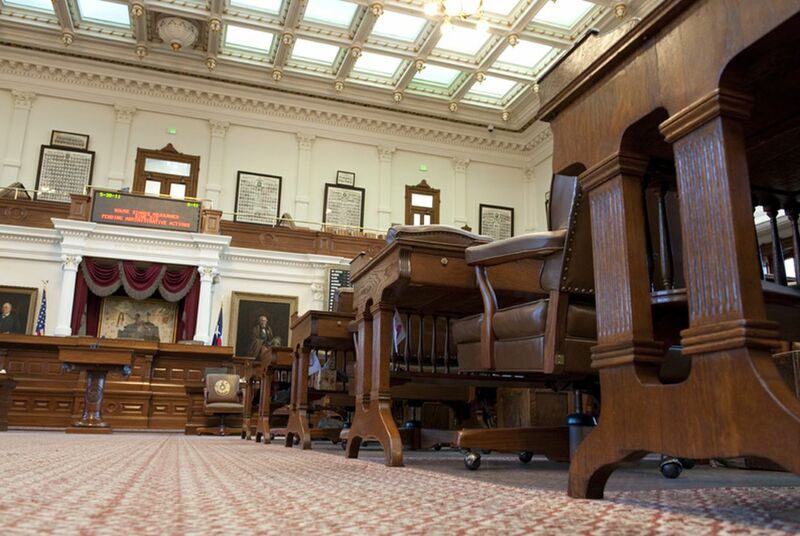 Texas has a new speaker of the state House of Representatives. Dennis Bonnen of Angleton is a Republican who says he doesn’t believe in “sugarcoating” issues. He says he calls ’em the way he sees ’em. 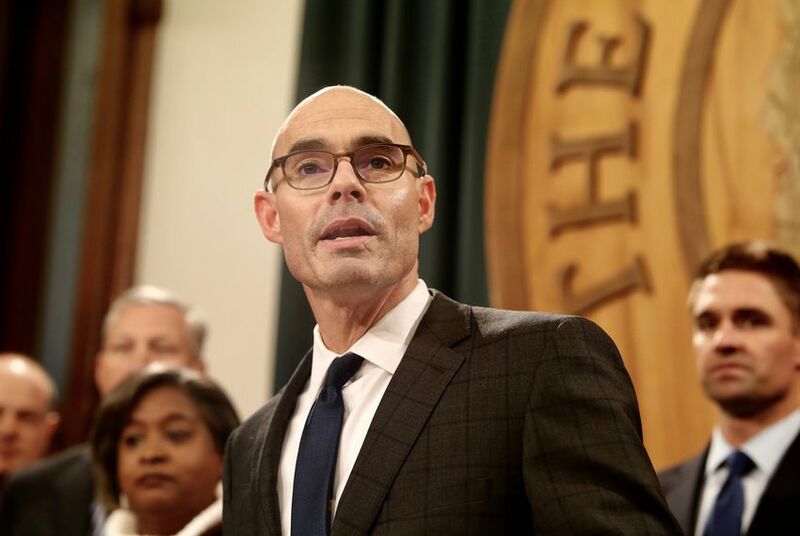 “I am direct and I am a problem solver,” Bonnen said. But he also apparently is more interested in substantive matters than he is in some of the more cultural issues that came out of the Texas Senate in 2017. Public school finance is Speaker Bonnen’s first priority, followed by human trafficking and property tax collection reform. 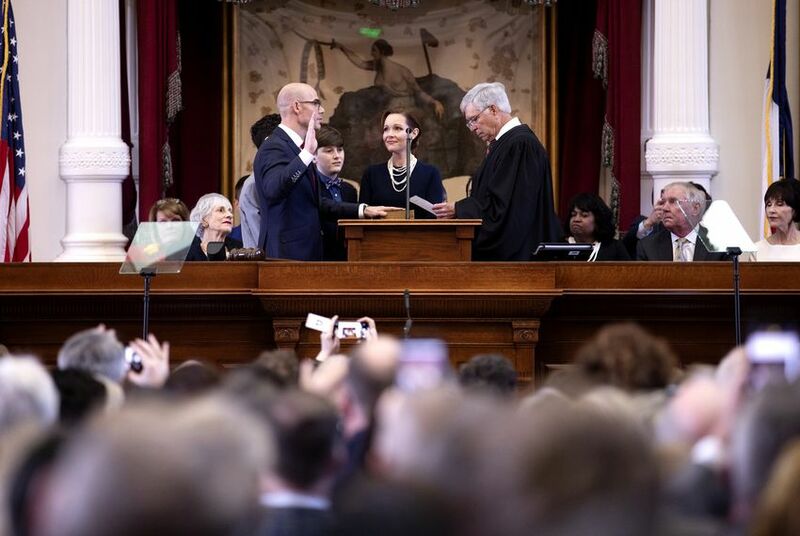 Bonnen succeeds Joe Straus as speaker. Straus, a San Antonio Republican, decided to step aside and not seek re-election in 2018. I am one Texan who is grateful, though, for Straus’s resistance to the Senate approval of that ridiculous Bathroom Bill, which required people using public restrooms to use those facilities that comport with the gender on their birth certificate. It discriminated against transgender individuals and Straus would have none of it. Speaker Straus managed to scuttle the Bathroom Bill during the Legislature’s special session in the summer of 2017, angering Lt. Gov. Dan Patrick, under whose watch the Senate approved the bill. The new speaker’s legislative agenda suggests he is going to travel along the same path as his predecessor — to which I offer a salute. Good luck, Mr. Speaker. May the new Man of the House lead the legislative chamber with wisdom and reason. The just-concluded 2018 midterm election has produced a fascinating result in Texas. The long-downtrodden Texas Democratic Party has rediscovered its mojo. Its members have a renewed spring in their step. They fell short in their goal of electing one of their own to a statewide office, but the fellow at the top of the ballot — Beto O’Rourke — came within 3 percentage points of defeating GOP Sen. Ted Cruz. That’s not supposed to happen in blood-red Texas, which hasn’t elected a Democrat to a statewide office since 1994; the last Democrat elected to the U.S. Senate was Lloyd Bentsen, in 1988. Now comes word out of Austin that the selection of the next Texas speaker of the House of Representatives will involve more Democratic votes among the 150 legislators. Democrats carved into the GOP legislative majority. 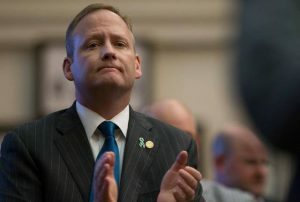 They’ll fill 67 seats in the 2019 Legislature; Republicans will occupy 83 of them. That means Democrats will get to speak with a louder voice in determining who takes the gavel from Joe Straus, who didn’t seek re-election this year. A Republican is a shoo-in to become the next speaker. That’s a given. My favorite for the speakership is my good friend Four Price, the Amarillo Republican who, in my view, would do a smashing job as the Man of the House. He is an ally of Speaker Straus, for whom I have high regard, given his torpedoing of the Bathroom Bill in 2017. However, it’s good to see a semblance of two-party rule returning somewhat to the Texas House. The GOP remains the pre-eminent political party in a state that once was dominated by Democrats. As for O’Rourke, I’m quite sure that Democratic Party loyalists and activists are getting way ahead of themselves by suggesting Beto should consider running for president in 2020. A better option might be to challenge John Cornyn for the U.S. Senate two years from now. However, O’Rourke’s legacy for the state well might be that his presence on the ballot and his near-victory over the Cruz Missile has energized a political party that’s been in a hang-dog mood for as long as anyone can remember. Joe Straus is now officially the lamest of ducks in Texas politics and government. The midterm election is over. The speaker of the Texas House didn’t run for re-election and voters in his San Antonio House district have selected a successor. That doesn’t mean he is keeping quiet. He has offered Lt. Gov. 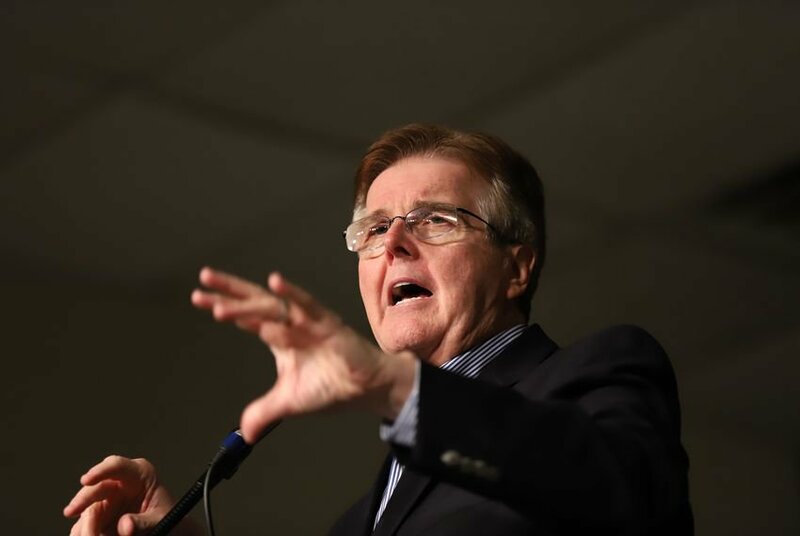 Dan Patrick, the garrulous politician from Houston, some cogent advice: Patrick should “listen more and talk less” during next year’s Texas legislative session. I suppose if Patrick’s view of a true Republican rests with some of the harsh, nutty notions that came out of the Texas Senate this past year, then perhaps he’s right about Straus. It sounds to me that Patrick is still miffed that Straus killed the Bathroom Bill that the Senate — over which Patrick presides — sent to the House. The Bathroom Bill required individuals to use public restrooms that comported with the gender assigned to them on their birth certificate. . It clearly was a discriminatory measure aimed at transgender individuals. Straus called it a non-starter, along with police chiefs and other law enforcement officials across Texas. Straus made sure the bill would die in a special legislative session during the summer of 2017. He said it was virtually unenforceable; he said it would harm businesses in Texas. He wanted no part of it. The soon-to-be-former speaker is a reasonable man. He is as much of a Republican as Patrick, without the stridency that Patrick brings to his high-profile position. To be candid, I’ll miss Straus’s leadership as the Man of the Texas House. As for Patrick, he ought to take Straus’s advice and listen more and talk less … a lot less. I cannot forget or forgive the effort to legislate a patently discriminatory policy regarding the use of public restrooms. And I put the responsibility for that effort right at the feet of Texas Lt. Gov. Dan Patrick, who is running for re-election against Mike Collier. Spoiler alert: I plan to vote for Collier. 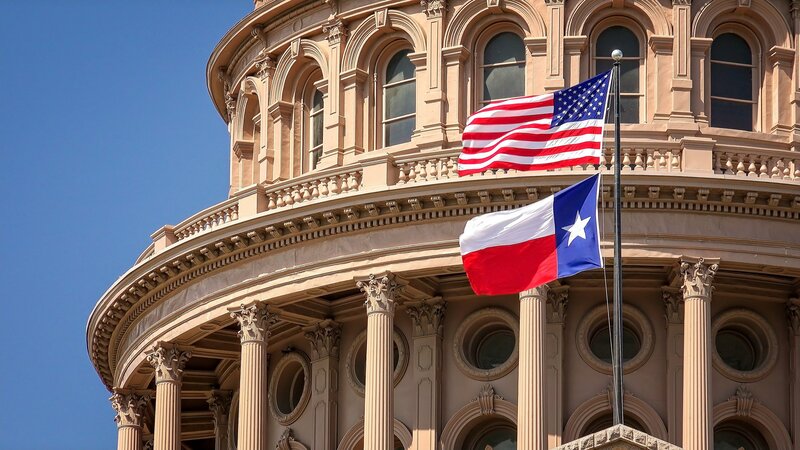 Patrick managed to engineer a Texas Senate approval of a bill that would have required people to use public restrooms in accordance with the gender assigned to them on their birth certificate. It’s known now as the Bathroom Bill. The lieutenant governor presides over the Senate and is arguably the state’s most powerful elected official. The Senate approved the Bathroom Bill at Patrick’s insistence. Then it ran into House Speaker Joe Straus, another Republican, but one with common sense and the belief that Texas should not discriminate against transgender individuals, which is what the Bathroom Bill would have allowed. Straus, who isn’t seeking re-election, blocked the Bathroom Bill, much to his credit. The House never approved it in its special session in the summer of 2017. The Bathroom Bill remains an indelible scar on Lt. Gov. Patrick’s tenure as the Man of the Senate. Collier is a former Republican who switched to the Democratic Party. 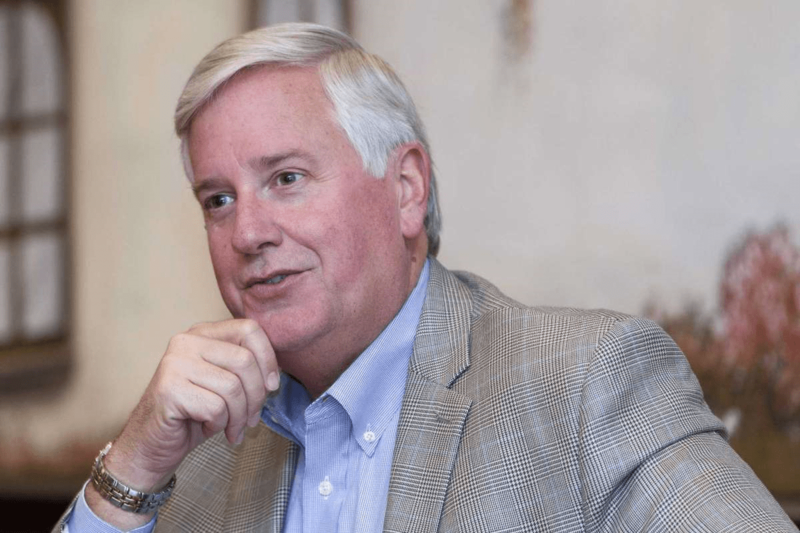 The Houston Chronicle, which has endorsed Collier’s candidacy, likens him to another former lieutenant governor, Republican Bill Ratliff, one of the state’s great statesmen. The Chronicle’s endorsement notes that Collier doesn’t look for simple solutions to complex problems. Patrick, meanwhile, is quick with the quip — owing to his days as a radio broadcaster — and simplistic demagoguery. The Bathroom Bill died the death it deserved in 2017. I don’t know what’ll happen when the 2019 Legislature convenes. My hope is that the next Texas Senate will be run by someone who won’t seek to demonize transgender individuals by resurrecting this patently hideous legislation. Joe Straus offers living, breathing, demonstrable proof that not all Texas Republican politicians have gone around the bend, that they all aren’t bat-crap crazy. Straus, the speaker of the Texas House of Representatives — until the end of this year, when his term ends — has emerged as a leading GOP opponent of Donald J. Trump’s “zero tolerance” policy on illegal immigration. The speaker, who is not seeking re-election, wrote the president a letter urging him to end the program that allows for children to be snatched from their parents’ arms at the southern border and sent to, um, somewhere apart from Mom and Dad. There’s more: In the letter, Straus also rejected arguments by the Trump administration that the policy could be used as leverage against Democrats in Congress. 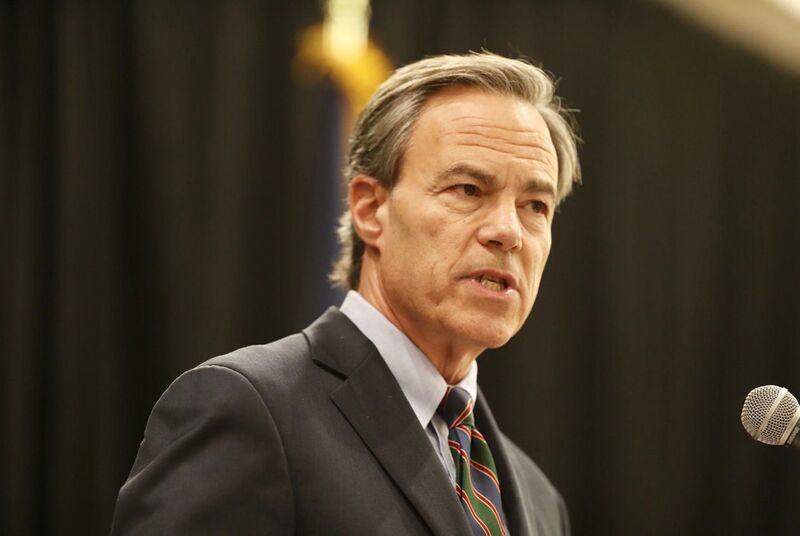 “It is wrong to use these scared, vulnerable children as a negotiating tool,” Straus wrote. Straus hails from San Antonio. While the state’s second-largest city isn’t on the border with Mexico, it is close enough to be considered near Ground Zero of this still-boiling crisis. The city has a huge Latino population, comprising many recent immigrants. Speaker Straus is listening to them as well as the better angels of his own conscience in seeking relief from this hideous policy. I want to add, too, that Straus is no stranger to political sanity in a state that at times veers into fits of partisan hysteria. Gov. Greg Abbott called the 2017 Legislature into special sessions to consider, among other items, that goofy “Bathroom Bill,” which required people to use public restrooms in accordance with the gender assigned to their birth certificate. The bill was clearly discriminatory against transgender individuals. It passed the Senate — which is led by GOP Lt. Gov. Dan Patrick — on a partisan vote. Speaker Straus, as the Man of the House, would have none of it. Through the speaker’s leadership, the Bathroom Bill ended up dead and buried. Which is where it should remain now and forever. Straus is turning his speaker’s gavel over to someone else in 2019. I do hope, however, that he remains a clear voice of reason among Republicans whose hearts, minds and souls have been captured by the lying carnival barker/flim-flam artist who in 2016 got elected president of the United States. Texas needs Joe Straus to continue speaking out, as does the nation. Will this young man enter the speaker’s race? 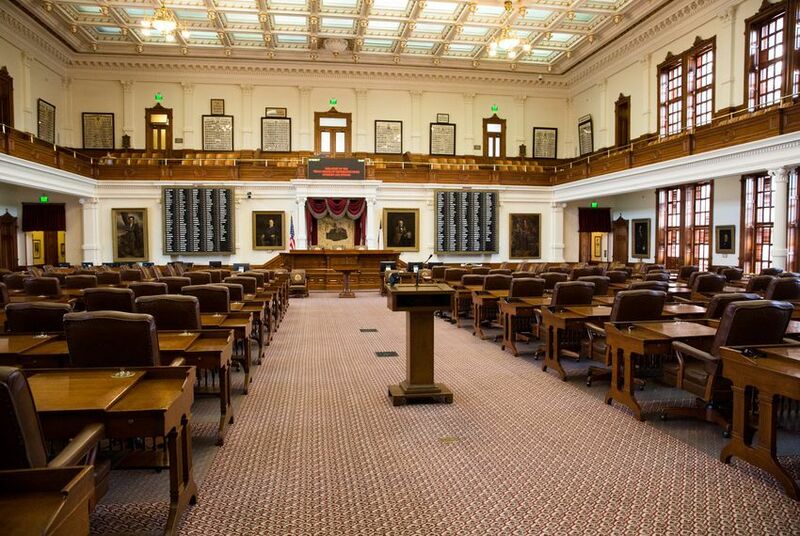 The Texas Tribune has listed five state legislators who either have announced plans to run for Texas House speaker or are interested in joining the fray. I looked the list over and was expecting to see a name from Amarillo. He wasn’t among the five of them. So, with that I’ll offer this on-the-record request for state Rep. Four Price, the Republican representative from House District 87: Go for it, young man! Join the field of legislators who want to be the next Man of the House! Price will see this blog post. He already knows that I have great personal regard for him. I am acknowledging my bias, OK? Rep. Price brings some political muscle to this contest, were he to run for speaker. First of all, Texas Monthly rated him among the state’s “Ten Best Legislators” in 2017. TM’s editors like his commitment to mental health issues. Second of all, Price beat back a challenge from a guy who had some serious financial backing from Empower Texans, the far-right-wing political action group that had targeted a number of incumbent legislators. Price rolled up 79 percent of the vote in the March 6 Republican Party primary race. The way I see it, a victory margin of that size has purchased Price a good bit of political capital that he can spend while campaigning for speaker. Third of all, Price would give the Texas Panhandle an important — and loud — voice in the Legislature at a time when it is experiencing a diminishing level of clout in Austin. It’s part of the state’s shifting population trend, with Central and North Texas growing at a much more rapid rate than the vast reaches of West Texas. Price told me some months ago that he was part of current Speaker Joe Straus’s legislative team in the House. He endorsed the leadership that Speaker Straus brought to the lower legislative chamber. It follows, then, that a Speaker Price would follow the lead established by Straus, who’s not running for re-election. I say all this knowing that this decision rests exclusively with Four Price and his family. Were he to run for speaker and then be selected by his House colleagues, he would be elevated immediately from a part-time citizen-legislator to a full-time political leader — even though the job won’t pay him accordingly. It’s a sacrifice to run for speaker and to subject oneself to the abuse that goes with the territory. Still, I hope Four Price goes for it. Tan Parker has become the third Texas House of Representatives member to file for the race to become the next speaker of the state House. He hails from Flower Mound; the other two are Phil King of Weatheford and John Zerwas of Richmond. They’re all Republicans. I’m wondering if we’re going to hear an announcement from another up-and-comer in the Texas House. He hails from Amarillo. He’s also a Republican, who also delivered a serious pounding to a candidate favored by Empower Texans, a far right wing political organization that sought to topple this fellow in the GOP primary this week. Rep. Four Price? Are you listening? Here’s what I have to say to this young man, who happens to be a friend of mine and who also has done a stellar job representing House District 87 since 2011. Becoming speaker of the House essentially turns the office into a full-time endeavor. Price will have to come to grips with the idea that he no longer would be a part-time “citizen legislator.” He also has been a strong ally of the current speaker, Joe Straus of San Antonio, who isn’t running for re-election to the House. Straus distinguished himself mightily by ensuring the death of the infamous Bathroom Bill that passed the Texas Senate in 2017. The Bathroom Bill would have required transgender individuals to use public restrooms in accordance to the gender assigned on their birth certificate. It is discriminatory on its face. It had no business becoming Texas law. Straus saw it for what it was. So, would a Speaker Four Price follow that lead? I would hope so. I also believe that Rep. Price would make an excellent speaker candidate, giving the Texas Panhandle a strong voice in legislative matters, as it did when Democrat Pete Laney of Hale Center ran the House of Representatives. Hey, I’m just a single voice here in the wilderness. Still, my desire is to see my friend go for it.